AMERICA/PERU - Card. Barreto: "Peru is living a highly democratic moment"
Lima (Agenzia Fides) - "Peru is going through a highly democratic phase. We fully support President Vizcarra because the other two powers of the State, Legislature and Magistracy, are seriously ambiguous. Now the people have to express themselves with regards to these four proposals of the executive power": said Cardinal Pedro Barreto, Archbishop of Huancayo, speaking to a German newspaper, during a break of the meeting of the Pan-Amazon Ecclesial Network that is being held these days in Germany. The four proposals presented by President Vizcarra to Parliament on August 9th are: return to the bicameral parliamentary system; non-re-election of members of the Congress; financing for political parties; reform of the National Council of Magistrates (CNM). "Without a doubt, it was time for citizens to express their will on the four issues raised in the presidential message through a referendum. Thus democracy is strengthened and politics is reinstated in our Peru", said the Cardinal. 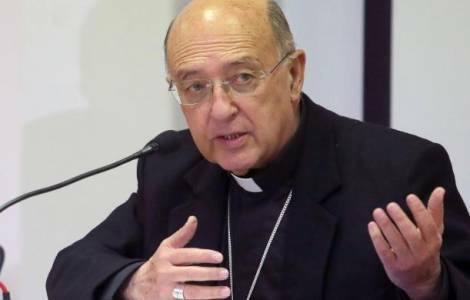 Finally he wanted to reiterate the statements of the President of the Peruvian Episcopal Conference, Mgr. Miguel Cabrejos, Archbishop of Trujillo, with whom he congratulated President Vizcarra for having listened to the popular demand: "Martin Vizcarra echoed the cry of the population asking for a reform of the judiciary and political system in the fight against corruption", declared Bishop Cabrejos at a press conference two days ago.